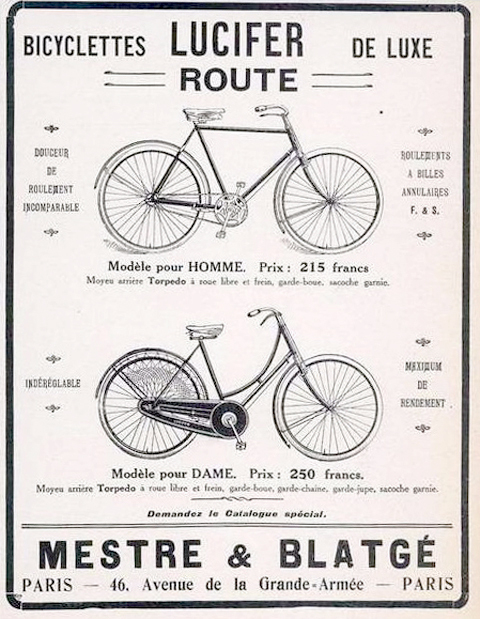 Mestre & Blatge was a well-known department situated in an area that was the city’s first centre for shops and garages that sold automobiles. 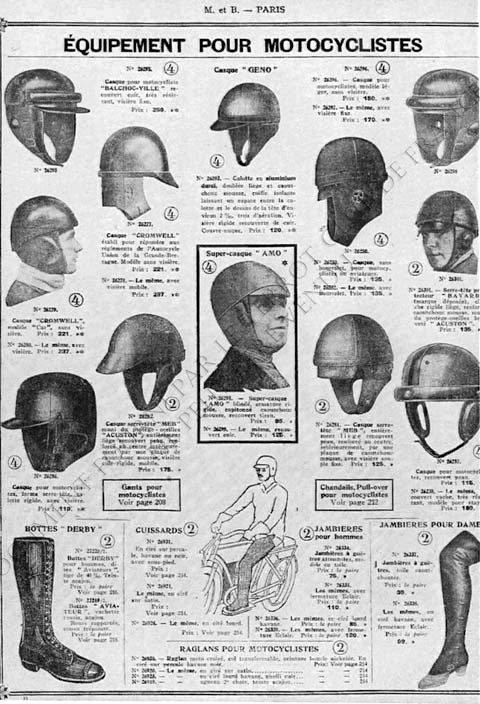 Among its many products, Mestre & Blatge retailed furniture, cars, motorcycles, bicycles, children’s pedal cars and tricycles, as well as every kind of motoring accessory, including equipment for airplanes. The company operated between 1902 and 1956. 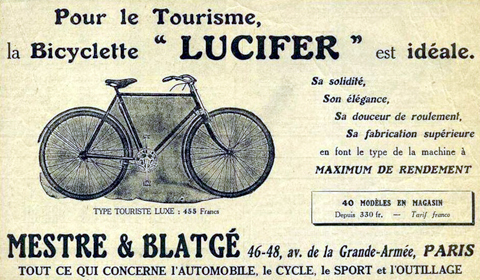 Lucifer was Mestre & Blatge’s leading brand name. 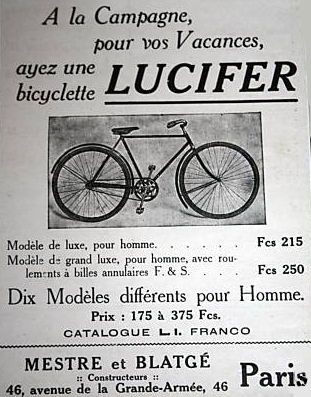 Lucifer lamps were a top brand worldwide, and the company capitalised on this name by using it on their bicycles too. 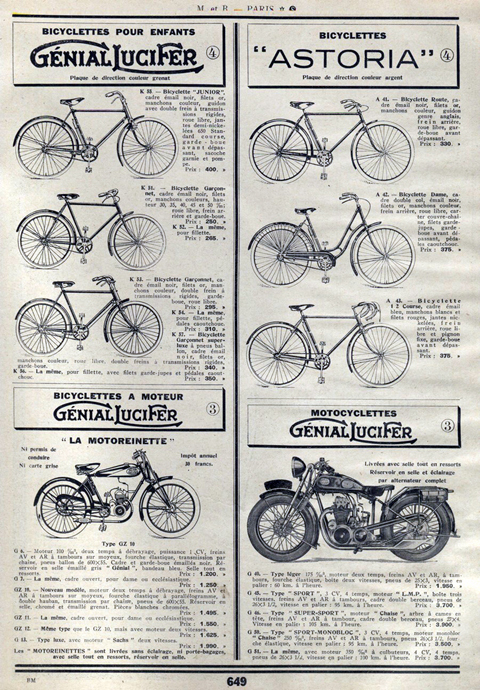 The company subsequently bought the Genial company, which had been established in 1907, and their bicycle brand then became Genial-Lucifer. 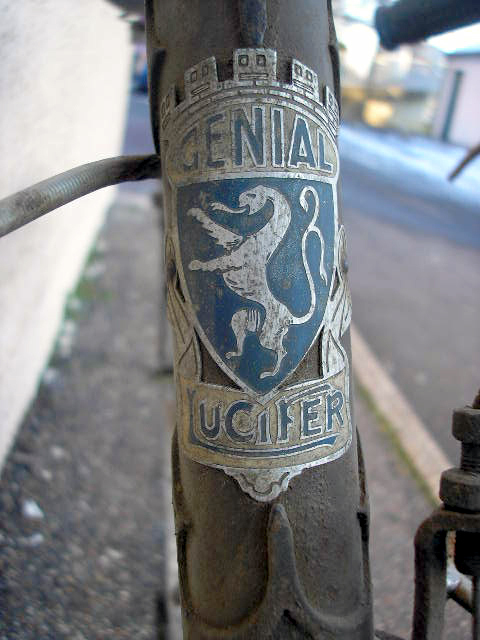 I found this ladies’ Genial Lucifer bicycle near Paris in 2009. 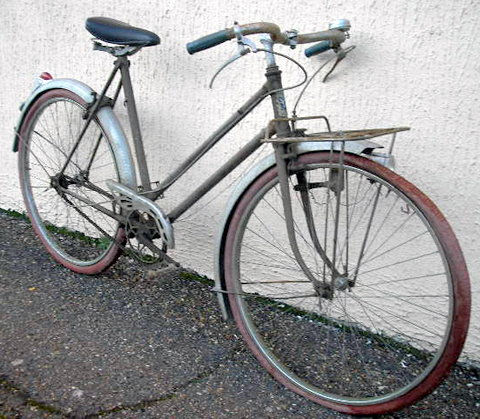 Since being taken off the road in the 1970s it was stored in the loft of the owner’s house, and it’s in well-preserved condition. 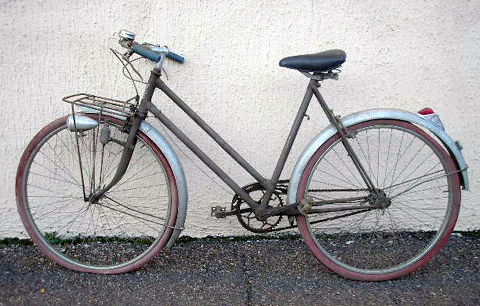 With its stylish aluminium Martele mudguards and fancy chainguard, it would have been a top-of-the-range ladies’ bicycle when it was new in 1948, so it’s not surprising the previous owner looked after it so carefully. 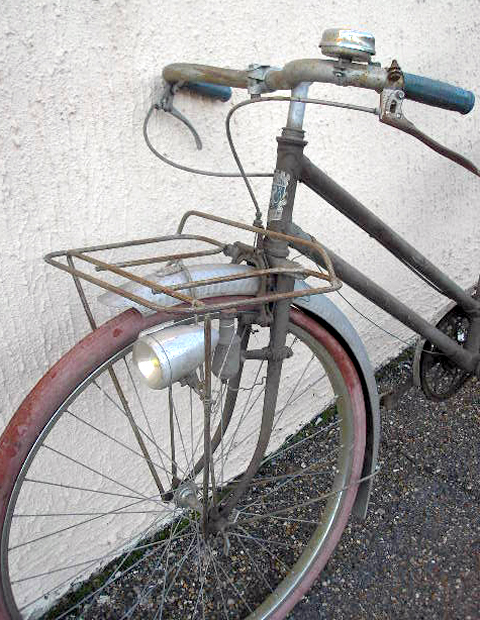 It has recently visited our workshops for a service and now has new tyres and tubes and brake cables. The company also had branches abroad. 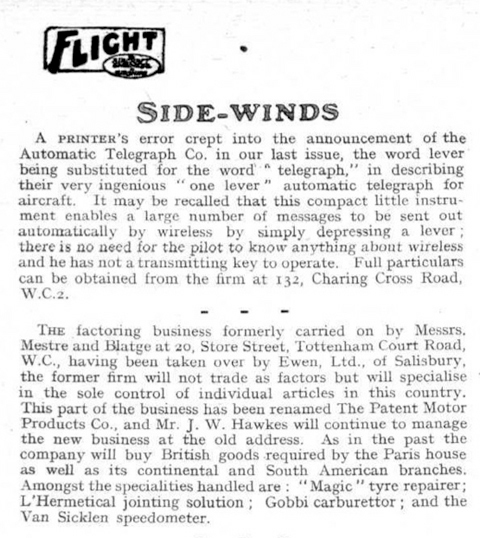 The article below, from ‘Flight’ magazine of 2nd December 1920, mentions a shop at 20 Store St, Tottenham Court Rd, London, as well as ‘continental and South American’ branches. Their shop in Rio de Janeiro was opened in 1912 and subsequently became the well-known Brazilian chain of department stores called Mesbla SA. 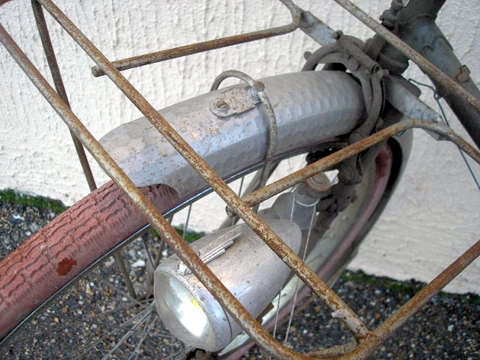 The ‘Automobile Eureka’ offered by Mestre & Blatge, below, was modelled on the Bugatti. 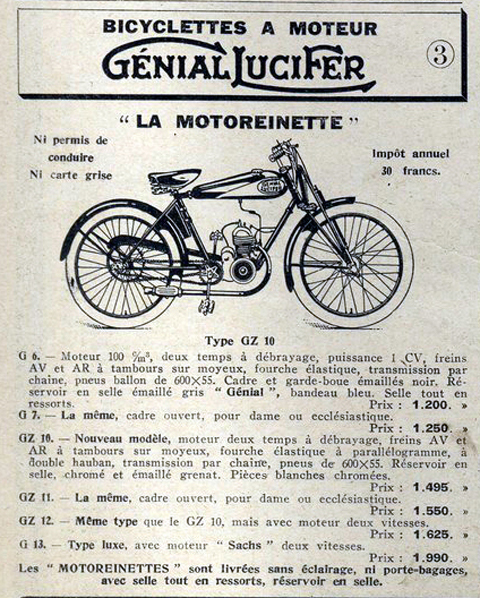 Eureka was one of France’s leading pedal car manufacturers. These days these these ‘Baby Bugattis’ are one of the most expensive pedal car collector’s items.